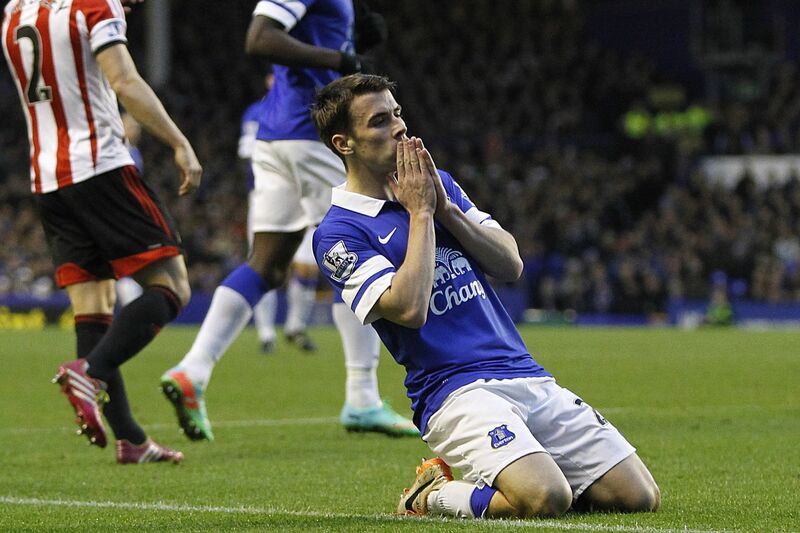 St Dom-index Player Ratings for the Everton vs Sunderland game on Thursday 26th December 2013. Tim Howard – 6 A lot of Evertonians have been solely blaming Osman for the mistake, however I believe that it was a very poor decision on his part to pass the ball to Osman in the first place. Seamus Coleman – 8 Had a quiet game, however he was still one of our better players, attacked well and was solid defensively. Phil Jagielka – 7.5 Had a decent game and was solid at the back, Sunderland had very few attacks and chances so he didn’t have much to do, but when he was needed he delivered well. Sylvan Distin – 7 Very similar to Jagielka, made no mistakes and looked solid. However I think we need a replacement for him at the end of the season, is Stones the answer. Bryan Oviedo – 7.5 Attacked well and played several dangerous balls into the box. Was caught out of position a few times though, need to communicate with Pienaar more. Kevin Mirallas – 6.5 Another very disappointing game, he currently thinks he’s better than he his. I think dropping him would give him the kick up the backside he needs. James McCarthy – 7 Didn’t have his greatest game but did what was needed. Leon Osman – 5 Very poor mistake which lost us the game, I think don’t think we should dwell on it however, drop him for the next few games and then we need to get over it. Gareth Barry – 7 Was solid, gave the ball away a few times though and looked like he was tiring towards the end. Steven Pienaar – 6.5 As the guy 3 rows back from me shouted, “it’s been 4 fu****g games now Steven!” By this he means that he hasn’t given us a good performance for 4 games. He needs to improve and the whole squad need to perform against Southampton. Romelu Lukaku – 6 Another poor game, he desperately needs a goal to boost his confidence. Nikica Jelavic – 6 Tried 3 over head kicks in 5 minutes. Need I say more? Ross Barkley – 8 Man of the Match – Came on at half time and did his best to change the game. Unlucky not to equalize with a late free kick and injected the pace in our play that was missing throughout the first 45 minutes. Joel Robles – 7 Made a few decent saves, really needs to work on his kicking and the accuracy of his distribution.